Editor's note: Jim Day, until recently an Associated Press correspondent for the Virgin Islands, focuses on fugitive Ishmael La Beet in his 30th anniversary account of the "Fountain Valley massacre" and its aftermath. Sept. 6, 2002 – Thirty years after Ishmael Ali LaBeet and four associates massacred eight people with gunfire at the St. Croix golf club today known as Carambola, the Virgin Islands' most wanted criminal remains a fugitive since skyjacking an airplane and forcing its pilot to take him to Cuba in 1984. LaBeet, who was born on St. Thomas but was living on St. Croix after his discharge from the U.S. Army, was sentenced along with the other four defendants to eight consecutive life terms in 1973 for the murder of eight people in what became known as "the Fountain Valley massacre." 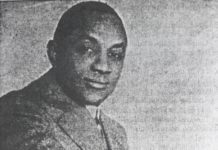 Although prosecutors said they believed the killings were a case of a robbery gone bad, LaBeet and his colleagues later represented themselves as black victims of an investigation controlled by white authorities, according to Harold Willocks, author of the book "Massacre in Paradise: The Untold Story of the Fountain Valley Massacre." LaBeet, who would now be 55, was believed to be the leader of the gang that gunned down eight people at the Fountain Valley golf course on Sept. 6, 1972. He is one of 74 people on the FBI's list of fugitives believed to be living in Cuba today. Like LaBeet, a Vietnam veteran who claimed he was railroaded in part because he is black, several of the other fugitives on the list are wanted for high-profile crimes carried out as part of their struggles against the U.S. establishment. Assata Shakur, formerly known as Joanne Chesimard, is a former Black Panther who escaped prison in 1979 after having been convicted of killing a New Jersey state trooper. She and Guillermo Morales, a member of the Puerto Rican separatist group Armed Forces of National Liberation (known by its acronym in Spanish, FALN) who escaped prison in 1979 after being convicted of firearm violations, are among those who made their way to Cuba to escape U.S. authorities. The issue of U.S. fugitives living in Cuba is one of the main obstacles to normalization of diplomatic relations between the United States and the country it has dubbed a terrorist state, according to State Department officials. "It is a very big priority to get these individuals brought back to the United States and brought to justice," said Charles Barclay, a State Department spokesman for Western Hemisphere affairs. U.S. officials have requested the return of fugitives as recently as this summer, but the Cuban government has not responded, he said. The fact that LaBeet has not been brought to justice in a sense means that the case has never been closed, according to former U.S. Attorney Julio Brady, who prosecuted the case. "It's like something out of a Hollywood movie, but it's real," he said. LaBeet, Warren Ballentine and Raphael Joseph were fugitives hiding out in the hills in the Grove Place region of St. Croix in the months before the golf course shootings, as police searched for them on various assault and robbery charges. On Sept. 6, 1972, they and their friends Beaumont Gereau and Meral Smith came down from the hills carrying a submachine gun, shotguns and several handguns to carry out a robbery at the Fountain Valley Golf Club. Brady said he believes the men were trying to get money to help Ballentine, Joseph and LaBeet escape from St. Croix. During the robbery, for reasons not made clear, LaBeet opened fire with the machine gun, and some of the other men began shooting as well. Within minutes, eight people were dead. The gunmen fled into the hills, and authorities launched the largest manhunt in Virgin Islands history, Willocks wrote. Within days, all five men were under arrest; several of them gave police statements about their involvement in the shootings. Police seized caches of weapons including those used at Fountain Valley and obtained eyewitness identifications of the gunmen from victims who had been injured by gunfire, Brady said. At their trial, the defendants claimed they had been brutalized and tortured into giving the police statements. Fights broke out in the courtroom between the defendants and marshals. Prominent civil rights lawyer William Kunstler, who defended Gereau, tried to build public support for the defendants among the Virgin Islands population. "It was an extremely volatile situation," recalled St. Thomas resident Krim Ballentine, then a deputy U.S. marshal who was assigned to work on the Fountain Valley case. "Many people in the Virgin Islands came together to try to protect their own." After all five defendants were convicted and sentenced to serve eight life terms for the murders, LaBeet still had a civil case against the authorities in which he claimed mistreatment. After a court appearance on St. Croix in that civil case, LaBeet was being returned to federal prison on Dec. 31, 1984, on an American Airlines DC-10. In a move that has never been fully explained, LaBeet went into a restroom as the plane flew over South Carolina, came out with a handgun, got the drop on the three armed guards escorting him, and ordered the jet flown to Cuba.. There, Cuban authorities met the plane on the runway and took LaBeet into custody, then allowed the aircraft to fly on to the U.S. mainland, according to news accounts. And that's the last U.S. authorities know for sure of LaBeet's whereabouts, officials said. Cuban officials said he was detained only for a time, but this could not be confirmed, Brady said. Speculation abounds: Some Virgin Islanders who have visited Cuba have said they thought they saw LaBeet in the streets of Havana; others have heard he fought with the Cuban army in Angola; others say he could be anywhere. "No one probably knows what LaBeet looks like anymore. He could be right here on St. Thomas for all anyone knows," Krim Ballentine said. FBI officials said it is almost impossible to verify leads about fugitives believed to be in Cuba. If LaBeet or any others are there, it will take a major change in U.S. relations with Cuba for them to be brought to justice, they said. "If he's in Cuba, there's no way we can get him back," said Judy Orihuela, an FBI spokeswoman in Miami. One of the Fountain Valley convicts, Joseph, was legally given his freedom at the end of 1994. In his last days in office, then-Gov. Alexander A. Farrelly granted Joseph a pardon, an action that Farrelly took much flak for but never explained. The other three — Warren Ballentine, Gereau and Smith — remain in prison on the U.S. mainland or at the Golden Grove Correctional Facility on St. Croix.